Can you tell a Monet from a Renoir? Are you proud of your ability to differentiate Keats from Shelley? If you want to be a true Bel Canto aficionado, train your ears so you can hear the difference between the music written, in those strict Bel Canto forms, by the leading composers of the period: Rossini, Bellini, and Donizetti. There’s more to Bel Canto than those three, but the repertory of companies like Seattle Opera usually include operas by Gioachino Rossini (everyone loves his Barber of Seville and we’re excited about his hilarious and ridiculous Wicked Adventures of Count Ory), Vincenzo Bellini (we’ve done his Norma , I puritani, and—long ago—La sonnambula) and Donizetti (we’ve just this weekend presented his powerful Maria Stuarda for the first time). Once you’ve learned what to listen for in Bel Canto generally, spend some time figuring out the differences between these three great composers--and what makes each of them great. 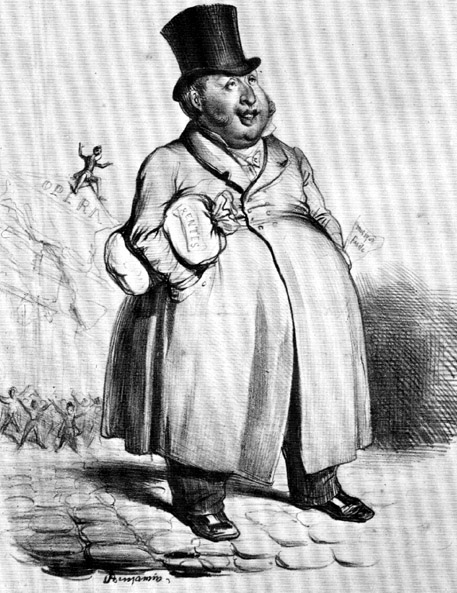 A nineteenth-century cartoonist has Rossini, who retired at the age of 40 after writing 40 operas in 20 years, waltzing away with a sack of money from the Paris Opéra, which is burning to the ground now that he has abandoned it. Bel Canto opera straddles the shift, in the early nineteenth century, from the so-called “Classical” period of music to the “Romantic”. Rossini, whose great operas were written between 1813 and 1829, is best considered a Classical composer--in fact he quit writing operas, at age 39, because he couldn’t do the new Romantic thing that had become so trendy. Listen for Classical-era values in Rossini’s music: balance, symmetry, clarity, simplicity, formal grace and elegance. None of that turgid Romantic emotional sloshing to be heard here! Stephanie Blythe sings the opening of Isabella’s “Pensa alla patria” from Rossini’s The Italian Girl in Algiers. All of Rossini’s operas set up the singers as sports stars, showing off their special skills and ability to perform technically difficult bravura singing. Mediocre performers need not apply. What’s more, because Rossini’s Classical period music doesn’t teem with personal emotion, if the audience is going to invest emotionally in the drama they’ll need charismatic performers up there onstage to care about. Kate Lindsey sings the conclusion of “Non più mesta” from Rossini’s La Cenerentola. 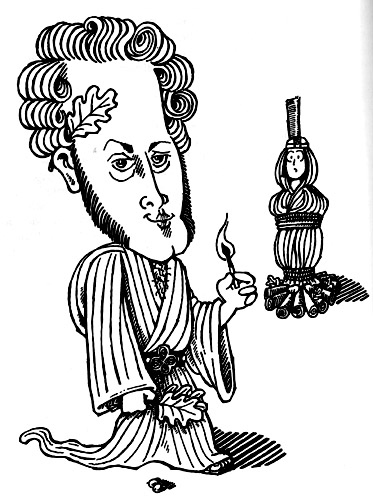 Rossini’s favorite musical trick is the crescendo, meaning “start soft and get loud”. He uses it most often in his comedies, to accompany increasing mayhem and craziness onstage. In The Barber of Seville you’ll hear several great Rossini crescendos, most famously Basilio’s “Slander” Aria, in which an enormous musical crescendo imitates the effect of an entire town rejecting and ostracizing an individual who gets slandered. Kevin Langan sings Basilio’s “La Calunnia” from Rossini’s Barber of Seville. 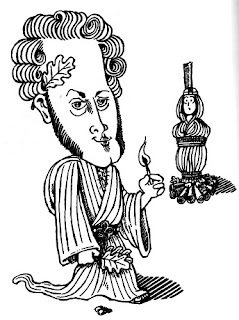 A more recent cartoonist has Bellini lighting the fire that will purge the Druid village of the sinful Norma in his most famous and popular opera. Unlike Rossini, Bellini excelled at indulging our emotions musically. All of his operas gravitate toward the same emotion, a Romantic sentiment which was culturally central when his music was all the rage in the 1830s: that sweet, sad, soft, sentimental melancholy of early Romanticism. It’s not about tragedy, it’s too pastel for that. It can feel like yearning, but it’s not a Wagnerian yearning for transcendence—it’s more like homesickness. Romance in Bellini is a gentle thing, more about the feeling you get when my breath tickles the hair on the back of your neck than interactions between other body parts. Jane Eaglen and Susanne Mentzer sing "Mira, o Norma" from Bellini’s Norma. Giuseppe Verdi made a telling, if uncharitable comment, about Bellini: “Bellini is poor, it is true, in harmony and orchestration, but rich in feeling and in an individual melancholy that was all his own. Even in his less familiar operas, there are long, long, long melodies such as no one ever wrote before his day.” The immense length of Bellini’s florid melodic lines--often compared to those of his great friend, Chopin--is one of the key identifying features of his music. It requires supreme breath control to sing these long lines, and many music historians have pointed out that Wagner got the idea of “Endless Melody”—not to mention the shattering, orgasmic climaxes those enormously long lines make possible—from listening to and conducting Bellini, his favorite composer. Where is the singer supposed to breathe, in an endless Bellini melody like this one? Lawrence Brownlee sings “A te, o cara” from Bellini’s I puritani. Verdi’s point about Bellini’s harmony and orchestration is well-taken (although if Verdi had died at age 34, like Bellini, we’d be making the same complaint about him). Bellini wasn’t the most sophisticated of opera composers; if you go to his works seeking intrigue, humor, suspense, and detailed characterization, you’re likely to be disappointed. A better idea is to relax, let the world go a little fuzzy, get in touch with your feelings, and then let the waves of glorious voice wash over you. Bellini’s characters are usually expressing pretty basic human experiences in song, so as long as you’re emotionally available, this music works. Arthur Woodley sings the nostalgic “Vi ravisso” from Bellini’s La sonnambula. Best-known for Lucia di Lammermoor and her beloved mad scene. 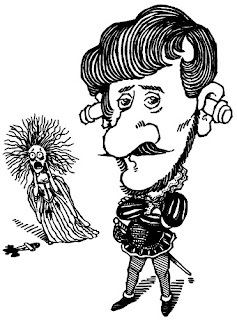 Before Verdi came along, Donizetti was the greatest tune-smith of Italian opera. He excelled at writing quirky little melodies that stick in your ear, the first time you hear them, and never go away. They might not be long and florid, like Bellini’s melodies, or graceful and elegant, like Rossini’s; but each one has an individual character which makes it memorable. William Burden and Aleksandra Kurzak sing “Veranno a te sull’aure” from Lucia di Lammermoor. Rafael Rojas sings “Una furtiva lagrima” from The Elixir of Love. Donizetti was extremely prolific, having written some 75 operas in the space of about twelve years. 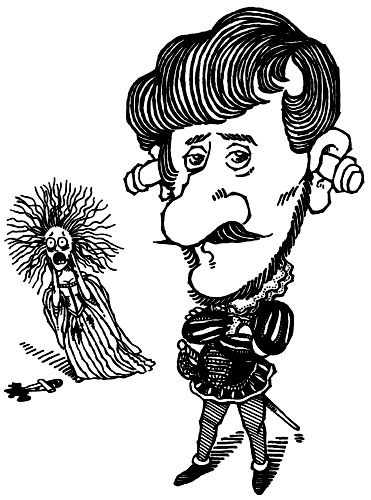 (When he heard that Rossini had written The Barber of Seville in two weeks, Donizetti reportedly asked, “What took him so long?”) There have been those who accuse Donizetti of failing to achieve the classical elegance of Rossini, or the exquisite sensibility of Bellini; complaints that Donizetti’s music is coarse, or vulgar, or cheap. Perhaps it is ostentatious, gaudy, even tacky; but if you can sing Tonio’s aria from La fille du régiment, with its 9 high Cs in a row, any audience will love you. Andrew Stenson sings the conclusion of “Ah, mes amis” from Donizetti’s The Daughter of the Regiment. for some reason the Sound Cloud links in the text are not active; and, there are so many selections in the long Sound Cloud menu that I can't find some of those I am looking for. A pity, as the overall post and opportunity to compare and contrast is very interesting and helpful. Apologies if these SoundCloud links are not cooperating. We've also organized these clips as a discrete SoundCloud playlist at https://soundcloud.com/seattle-opera/sets/how-to-distinguish-rossini; perhaps that will make things easier.